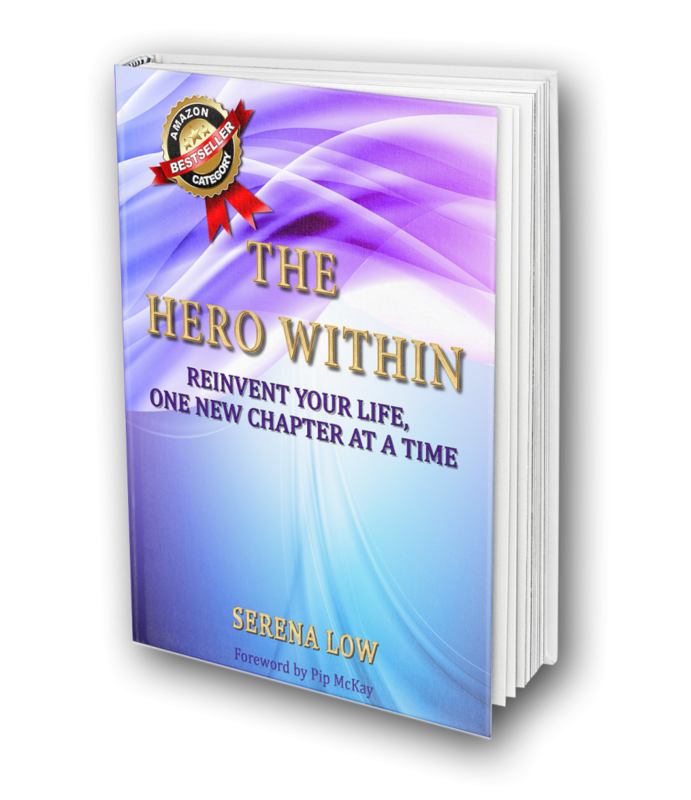 I wrote The Hero Within: Reinvent Your Life, One New Chapter at a Time with one intention: that it might encourage, inspire and act as a realistic guide to how others have conquered personal challenges and reinvented their lives. We read of the terrible things that happen to ordinary people in our community and around the world. Substance addiction. Sexual abuse. Unexpected death of a spouse. Mental illness. Learning disabilities. Retrenchment. Stress and burnout. Yet this is the reality for thousands of people we may never meet personally. And if adversity happens to us – if we were to be visited by sudden illness, or a loved one gets addicted to drugs or alcohol, or a friend is trapped in an abusive relationship, would we know what to do for ourselves? For them? So I got really curious and started looking around for survivors with a story. How do they cope on a daily basis? How is their situation affecting their children, family life, their work, and the way they perceive themselves? What gives them courage and hope and helps them to go on? What lessons can we learn from them that might be helpful in facing our own challenges and helping others face theirs? Start reading The Hero Within: Reinvent Your Life, One New Chapter at a Time. Take control of your setback and turn it into an astounding comeback ! This book was so inspiring! Reading the battles faced by each individual and how they persevered was an eye opening experience. I have recommended the book to a few of my friends. I think it is good to remind ourselves that failure, whether it is bad judgement, decisions, or business is what makes us human. Overcoming it makes us a success.